This giveaway will be little different than the giveaways I have done in the past. You will have several chances to enter. The rules are simple...Here they go..
3. You must comment one time during the month of May on any posting made during the month of May. 4. EXTRA CHANCES.... You can comment one time on any or all posts made during the month of May for extra chances to win. This will include any posts I publish for blog hops as well, even if I have a little something as hop candy, those comments will still be entered in the giveaway as well. (In otherwords, you could win hop candy too!!) I will try to post frequently during May so that you can have lots of chances to win. OK, easy enough...simply follow, share and comment!! Don't forget, this very post could be your first chance to win! Goodluck to you all and happy scrappin'. Such a wonderful giveaway. I post a post on my blog. Thanks for the fun give away! I'm a follower and posted your giveaway on my blog : http://lisaspaperaddiction.blogspot.com/ Thanks! Happy crafting. This will be fun! I am posting you button in my side bar now! What a great giveaway... the link is posted on my blog and I am a Follower!! Good luck everyone! Thanks for the fun giveaway. I'll do my best to visit you as often as I can. I'm an old follower. I'm a follower and your blinkie's on my blog www.grandmacarol46580.blogspot.com and I'm very proud of ALL military personnel and their families. You know I'm a follower of your blog. This is such a great idea and thanks for the chance to win some cool stuff. 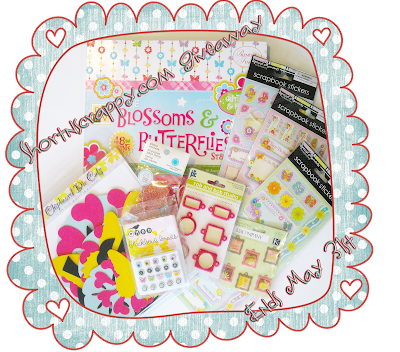 I have posted about your blog giveaway on my blogs sidebar. Sweet candy giveaway! Thanks for the chance to win! I'm now a new follower! Also, I posted a link to you blog about your giveaway in an article I wrote. I'm a new follower thanks for the chance to win! What a great blog candy giveaway!! I posted your blog candy on my wall. Please stop and check out my blog! Thanks for the chance to win. I've been a follower for a while, enjoying your designs. I just found your blog through the MTC hop! Love everything I see. Thanks for the chance to win some fun stuff! I put your link on my FB page.